The Eazigrip 8" fry pan is a non stick Stainless Steel skillet with a durable non stick coating on the inside. 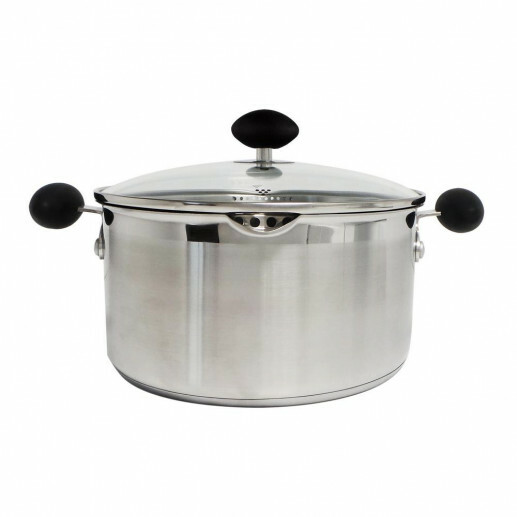 The Stainless Steel pan has a composite base-stainless steel with an aluminum core-to distribute heat more evenly than an all-steel pot or pan could. This means cooking requires less energy and lower cooking temperatures. Eazigrip cookware is designed for comfort-with a distinctive handle that greatly reduces strain on wrists and hands. This curved handle changes the way the pan or pot is gripped. In fact, it allows the wrist and hand to grip at a 42 Degree angle, the best position to give you control with the least amount of strain to the wrist. 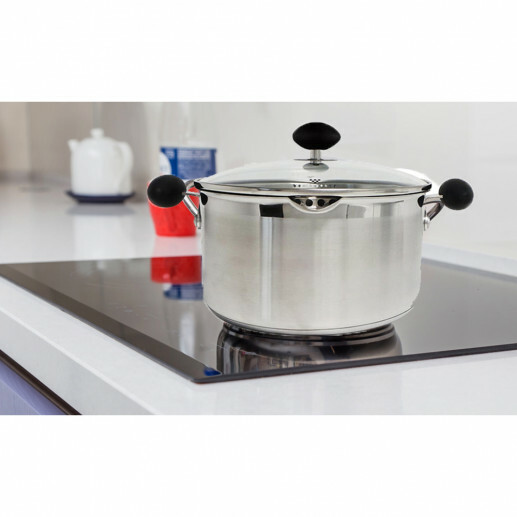 This makes it easier to lift full pots, and safer to move them from stove top to sink or plate. Pots and pans can rest on the edge of a sink, using the ledge as a lever to tip forward naturally and pour out water, etc. Protecting you from steam burns and awkward handling. All handles are wrapped in silicone, making gripping more comfortable and safe. The Eazigrip small fry pan is safe for use on gas, electric, and induction cooktops. This fine cookware is lasting, lightweight and durable. And comes with a lifetime guarantee from its maker Imperial great British design.